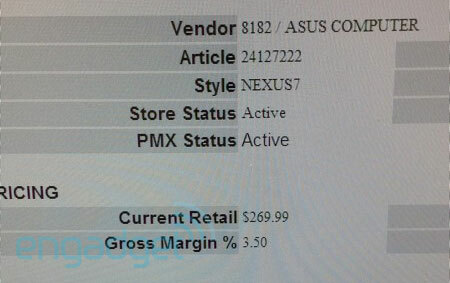 It appears that the rumored sequel to the Nexus 7 is close at hand, according to internal documents sent to us by an anonymous tipster. Apparently, the new device will be sold in stores alongside the current iteration (at first, at least, though we can't be certain if this will only be until existing stock runs out). The docs indicate that stores will receive the tablet as early as the 20th, though we wouldn't be surprised if we didn't see it until the 24th or later, given Google's product event on that date. This particular model being discussed is the 32GB version, but we're not certain if it will be available in 16GB as well or if it's just not going to be offered at this specific outlet. We'll update you as we learn more about it, but it's pretty clear that next week's announcement will be rather significant. Update: According to a shot of an inventory screen sent in by our tipster, the retail price for the 32GB model is set at $269.99. 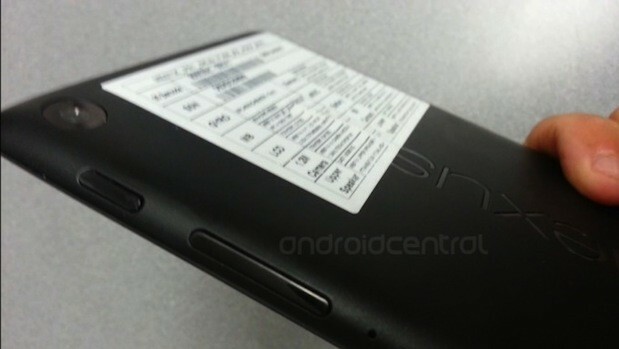 Update 2: A tipster sent in photos of the alleged device to Android Central. While we can't know for sure that this is the exact same tablet that we expect to see next week -- it could simply be a prototype, for instance -- it at least looks quite feasible. There's a pair of pictures after the break.